Sellers sometimes question exactly why they need to hire a REALTOR to sell their home. The fact is, there is a lot of information online about selling a home without a real estate agent, and some people can manage to do it. 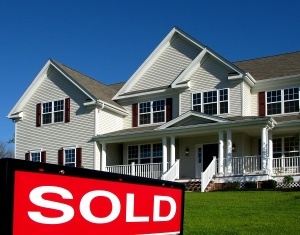 However, many more sellers end up losing both time and money because they tried the “For Sale by Owner” (FSBO) route to selling their home without success. You may save a bit of money by representing yourself. Honestly, some people may sell their home this way, but many don't. You risk far more than you will save. You can market your home just as well as an agent. Actually, it takes time, money, marketing skills, and a ton of work to successfully market a home to a large number of potential buyers. Education is key: A professional REALTOR who does works with buyers and sellers every day is equipped with advanced training to market and sell your home for the highest possible price. Experience also matters. The REALTOR you hire can bring both attributes to any contract negotiation or issue that arise in the process of buying or selling your home. They have seen many contracts, handled many negotiations as well as multiple unforeseen situations and unexpected delays that can happen during the buying and selling process. The art of negotiation: REALTORS will weed out the crop of uncertain and unqualified potential buyers as well as market your home to its highest potential. Top agents can negotiate well because of their skills, but also because they are not emotionally involved in the transaction. Knowledge of current market: A REALTOR knows the average price of homes in the area and can advise you as you prepare to sell. They know the price range of homes in your neighborhood, what they offer or lack compared to your property, and how much they have sold for. When you hire an agent, you have the inside scoop and that helps you compete as a buyer or a seller. Real statistics and research: REALTORS provide the research and statistics that help you know how much a home is really worth and how to price it. You will not be told what to specifically price your home for, but rather will be given educated advice of a price range to consider. It is based on real data and is a realistic amount of what your property is worth. The MLS: A REALTOR has the tools of the trade that you and your computer lack. The MLS is where all homes are listed and the network of other agents that your REALTOR knows is usually fairly large. There is no better way to market a property than to do it professionally. As a FSBO you can pay a fee to get your home on the MLS, but that costs you money that you are trying to save. Contracts and other paperwork: For anyone representing themselves in real estate, purchase and sale agreements are long and very confusing. The language is not what you use every day and a mistake or an omission could cost you. Typically, people who list with a REALTOR get more money for their home than those who do not. Buyers expect a substantial discount when seller forgo a REALTOR, so what you save on a real estate commission may end up meaning a lower price. By hiring the right REALTOR, sellers end up with more money back at closing and much less stress throughout the selling and closing process. It pays in many ways to hire an expert to oversee one of the largest, legal transactions you may ever be involved in.